Two police officers were Sunday morning killed when unknown assailants struck St Paul’s ACK Church in Ukunda, Kwale County. One officer died on the spot while another succumbed to injuries while receiving treatment at Balm Beach Hospital in Diani. The attackers who struck at 10am made away with two guns, an AK47 and G3, belonging to the officers and a hunt has been launched. “The attackers were riding on motorbike and they made away with two rifles,” said Coast regional police boss Larry Kieng. 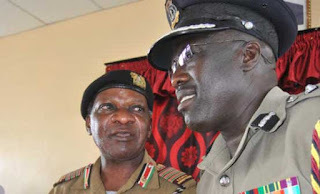 The officers were manning the gate to the church when they were confronted by the attackers whom a source suspects could be Al Shabaab returnees from Somalia. Some worshipers inside the church sustained injuries as they scampered for safety when the assailants opened fire on the officers. They were rushed to Balm Beach Hospital for treatment.